Patrons Oxford takes great care in designing our products and services. Individual and business needs can vary tremendously. Only through a careful analysis can an appropriate policy be recommended. Patrons Oxford, for all the things you value. 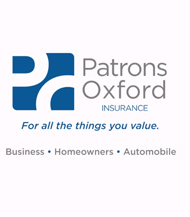 your home, auto or business with a Patrons Oxford Policy. 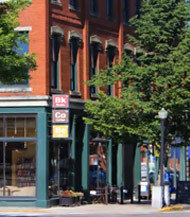 Patrons Oxford is a Maine based property and casualty insurer. Our company purpose is to continue to be the very best Property/Casualty Insurer through the Independent Agent distribution system. In order for Patrons Oxford to accomplish this mission, we realize that we must provide our policyholders with products that are more responsive to their needs and lifestyle, and service that is faster, fairer, and more efficient than any competing Property/Casualty Insurer. 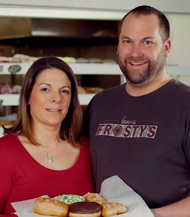 We also must create and maintain an identity with our distribution system that is proprietary, create opportunity for Maine people to maximize their personal potential in an enterprise which is of real and continuing value to society, and create an economic return which will fuel an increasing rate of growth.